AFRICANGLOBE – Saturday night, controversial Harvard professor Henry Louis Gates, Jr. presented his recent PBS documentary series on African American history as part of Yale’s extended celebration of Martin Luther King, Jr. day. For more than two hours, Gates discussed the progresses made by the African American community, but also noted the road that remains to be traveled. “Post-racialism is a noble idea, but it’s a fantasy,” he said, reflecting on the current state of the United States. 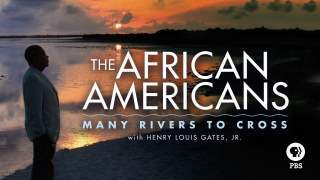 The event was centered on the screening of “A More Perfect Union (1968–2013),” the final episode of “The African Americans: Many Rivers to Cross,” the six-part PBS documentary series which Gates wrote, presented, and produced. The screening was followed by a panel discussion, which included Patricia Okonta, a Yale junior and president of the Black Student Alliance at Yale; Marcus Hunter, assistant professor of sociology at Yale; the Rev. Frederick Streets, senior pastor of the Dixwell Avenue Congregational United Church of Christ in New Haven and professor at the Yale Divinity School; and Alicia Camacho, professor of American studies and ethnicity, race, and migration at Yale. Gates reflected on his own place in African American history. He first came to Yale in September 1969 as one of only 96 Black students in that year’s class. He identified as a beneficiary of affirmative action and as a member of “the Black elite;” but he lamented the scarceness of upward mobility amongst Black people, lamenting the serious problems that remain for the community as a whole. He acknowledged the value of America finally having a Black president, but he emphasized the need for also realizing that about a million Black men are in prisons across the country. The near-capacity audience at the Yale Law School auditorium responded enthusiastically to Gates’ documentary, as well as his and the panel’s remarks. “He’s such a genuine person and speaker and coordinator,” said New Haven resident Barbara Gaab. “It’s very frustrating to see that our justice system is so poor and inflexible,” she said, in reference to the incarceration challenge facing the Black community. Gates is the Alphonse Fletcher University Professor at Harvard University, as well as director of the W.E.B. Du Bois Institute for African and African American Research. He is a recipient of 51 honorary degrees, a 1981 MacArthur Foundation “Genius Award, a 1998 National Humanities Medal, in addition to several others honors. He is currently the Editor-in-Chief of TheRoot.com, a daily online magazine focusing on issues of interest to the African American community.